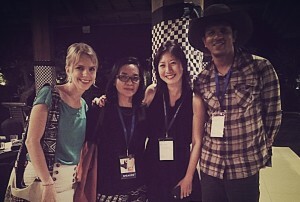 “Darkness and Lights” in Neka Museum, Ubud. 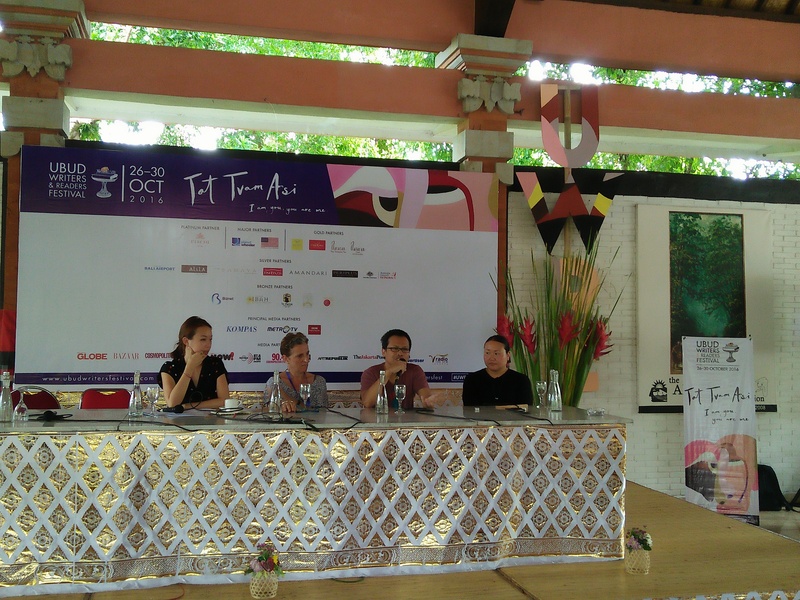 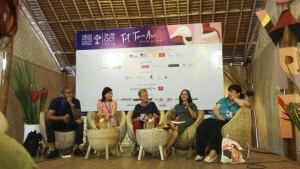 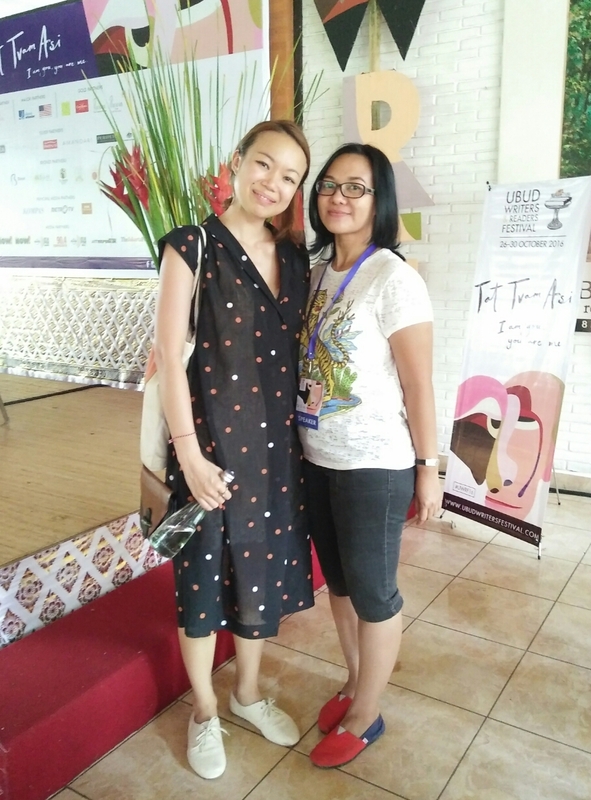 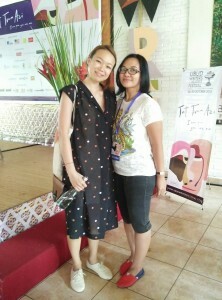 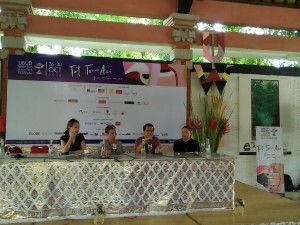 With Amanda Lee-Koe (Singapore), Charlotte Wood (Australia), Eka Kurniawan (Indonesia), Hanya Yanagihara (USA). 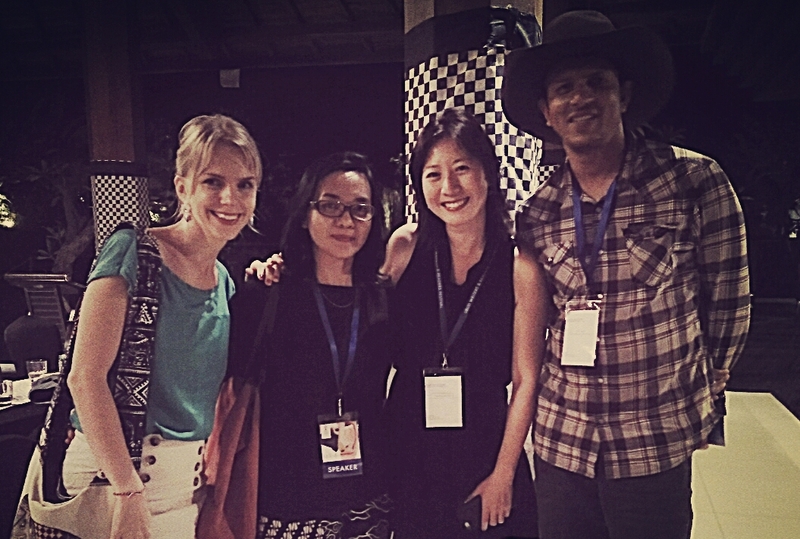 Long Table Dinner in Desa Visesa, Ubud. 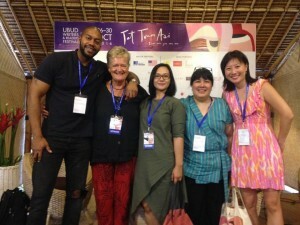 With Susanne Gregor (Ausria), Ratih Kumala (Indonesia), Cheryl Lu-Lien Tan (Singapore), Chris Raja (Australia). After the session “Evolving English” with Mitchell S. Jackson (USA), Gill Westaway (our moderator), Ratih Kumala, Leila S. Chudori, and Cheryl Lu-Lien Tan (Singapore).